The Oscars tonight and then a few more premieres, returning shows and even some finales this week. Plenty of basketball for the sports fans as we head towards March Madness too. Each week GeekTonic covers the TV scene with a complete listing of premieres, finales and specials for the week. The 82nd Academy Awards (8:30pm on ABC – Available in HD) – I’m not in to awards shows really, but this is one of the big ones and should prove to be interesting. 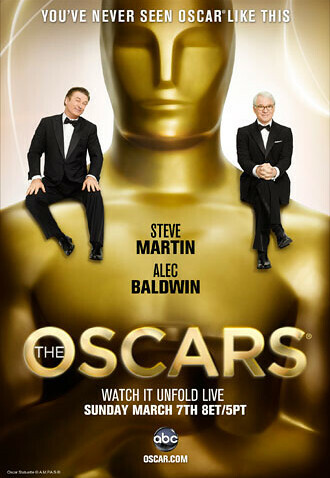 Honors for achievements in film take place at the Kodak Theatre in Los Angeles; Steve Martin and Alec Baldwin host. Trauma (9pm on NBC – Available in HD) – NBC’s expensive drama that often was compared to “Emergency” returns from hiatus and life support. It was rumored to have been cancelled and then revived by NBC. Food Wars (10pm on Travel – Available in HD) - series premiere. This is a series I’ll be recording just to see some of the dining establishments I’ve been to highlighted on TV. White Collar (10pm on USA – Available in HD) – Season 1 finale. Another good series on USA. America’s Next Top Model (8pm on CW ) Season 14 premiere. Just wondering here, if this is really about the modeling world, shouldn’t it be in HD? High Society (9:30pm on CW – Available in HD) Series premiere of a new realityTV show that follows New York socialite Tinsley Mortimer and her friends. First Love, Second Chance (10pm on TV Land) – A new realityTV show on TV Land. This one reunites folks with their first love. Sons of Tucson (8:30pm on Fox – Available in HD) – Series premiere for a new fox comedy with Tyler Labine. The Pacific (9pm on HBO – Available in HD) – The highly anticipated WWII miniseries finally arrives on HBO. Think of this as the “Pacific” version of Band of Brothers. This is THE reason I subscribed to HBO recently and based on what I saw of “The Making of the Pacific” it shouldn’t disappoint.